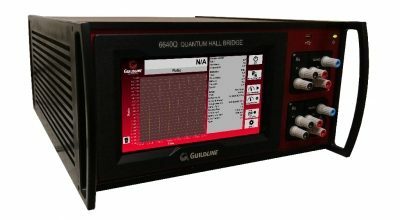 Guildline’s 6535 High Resistance Measurement System provides demanding users around the world the best in DC High Resistance Measurement performance and value for the range of 100 kOhms to 20 POhms. 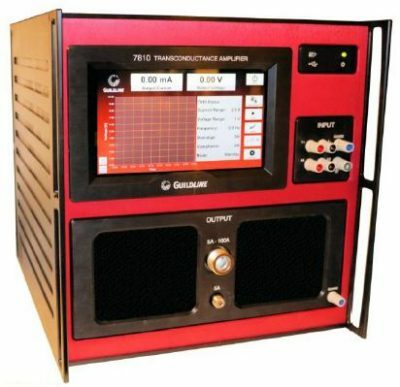 Incorporating some of the most unique standards available for measurement, this system is the only "turn-key" Automated High Resistance Measurement System available today. The 6535 is a modular High Resistance Measurement System consisting of Guildline’s new 6530 TeraOhm Bridge-Meter, our new 6564 High Resistance Scanner and optionally the Temperature Stabilized 6636 High Resistance Standards. Measurement performance and value for the range of 100 kOhms to 20 POhms. 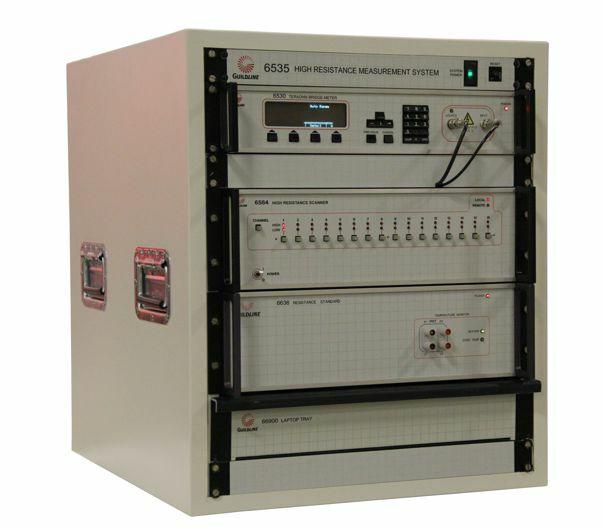 Incorporating some of the most unique standards available for measurement, this system is the only "turn-key" Automated High Resistance Measurement System available today. 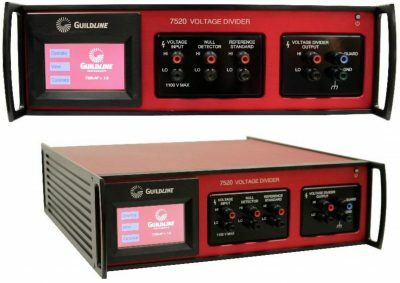 Guildline unique Standards include the 6530 TeraOhm Bridge-Meter, a 6564 High Resistance Scanner and our 6636 Temperature Stabilized High Value Resistance Standard. The 6535 is used to automate multiple measurements with Direct Measurement and Bridge Ratio Modes up to 20 P5’s.